The club interior is designed in white color; the architecture is soft with round forms where the color makes the building look like winter mountains in a hot summer. Inside it seems like a beehive: when you look down from the top the VIP-boxes seems to be made like bee’s cells. Double level construction can take sufficient quantity of visitors. Famous performers and bands appear on the stage. Ibiza is very popular club among young people. Gilded youth of Moscow and Kiev come here on weekend for having fine times. “Itaka” is the most capacious club in Arcadia (record is 3000 people) and it is designed in antique style. Inimitable atmosphere of ancient Greece is felt right from the very first step when you enter ITAKA club where the tables are arranged in the way that reminds amphitheatre. 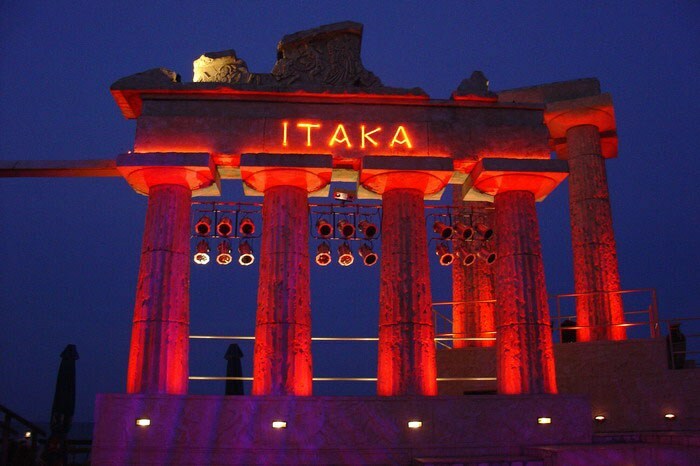 The difference of Ibiza and Itaka clubs is that Itaka is bigger and the visitors are a little senior. 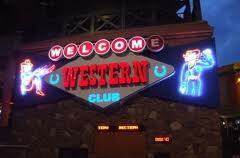 Club WESTERN is a very democratic due to its entrance and menu price. It is quite possible that you cannot see any famous people or stars on its stage but every evening you can watch different show programs. The audience of the club is more common comparing to Itaka and Ibiza club, but you can have a great time here with your friends. “Praetoria” is a club for those who admire music of 80-90-s which is compulsory for the majority of parties. The club doesn’t work on Mondays only, all the rest of the week it offers to visitors soft and cozy sofas, plasma screen, bar and calean. It is also possible to order a show or a definite group performance. On Fridays and Sundays “Praetoria” offers different competitions and a saxophone party which takes turns with last years hits without remixes. The cuisine has a great variety of both meat and fish dishes, salads and cold collations as well as alcoholic and non-alcoholic drinks and cocktails. 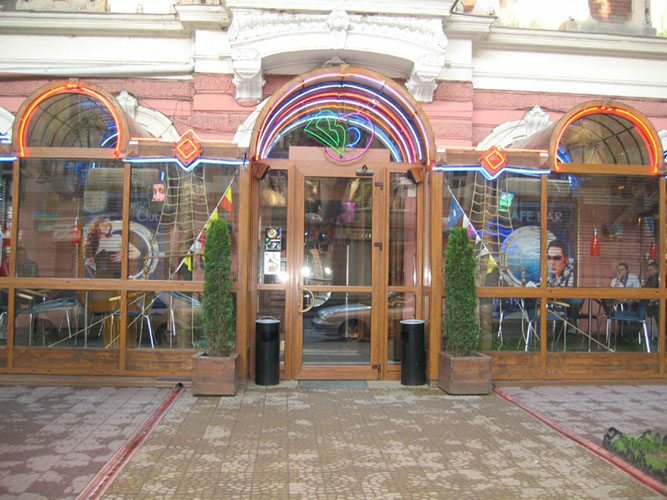 It is a legendary club and the founder of non-stop movement in Odessa, as well as bar dances, extreme cocktails and shot cocktails. “Captain Morgan” was the first to show absinth to Odessa. 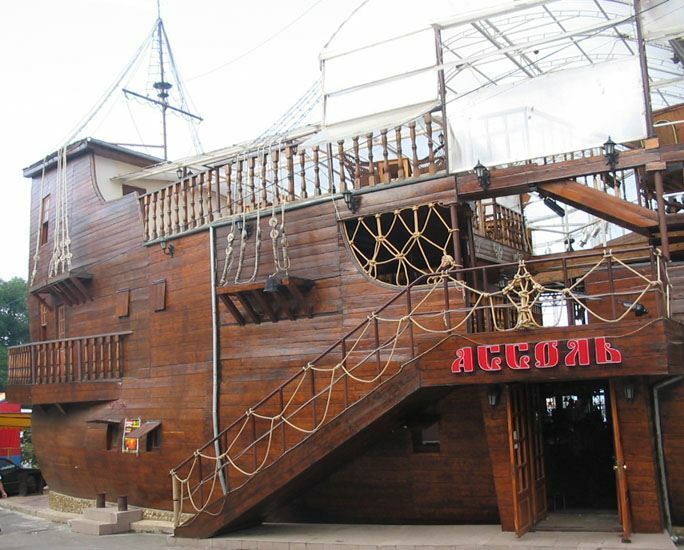 “Captain Morgan” has two floors, a huge dancing ground, 2 bars, a stage and a chill out. The building is equipped with a qualitative sound and light equipment, the best DJs work in this club. On the first floor there is a restaurant with a discount system. While clubbing “Captain Morgan” offers discounts as well: girls at the bar can have a free cocktail. On Monday there is a “Cocktail Fever” with a 50% cocktails and 50% discount on beer on Tuesday. 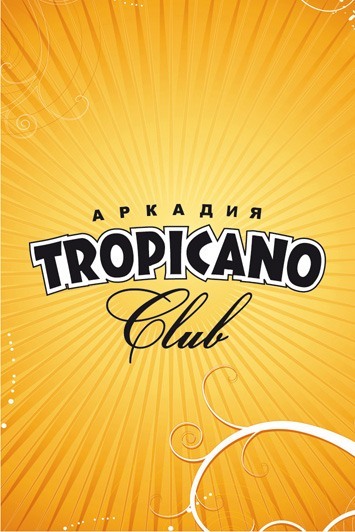 Working hours: 10:00 a.m. - 08:00 a.m.
Till 8 p.m. “Tropicano” works as a bar-restaurant and an entertainment complex where it is possible to eat, rest, play tennis and come with children to different actions. From 8 p.m. club life begins with a traditional discotheque with famous DJs and MC. From Friday till Sunday different shows are held there. Face control and dress control are also present there. “Tropicano” has a huge dancing ground, Brazilian café, Pirate bar, two Chocolate bars, and a bar-restaurant. Also there is a VIP zone, WI-FI and big plasma screens. 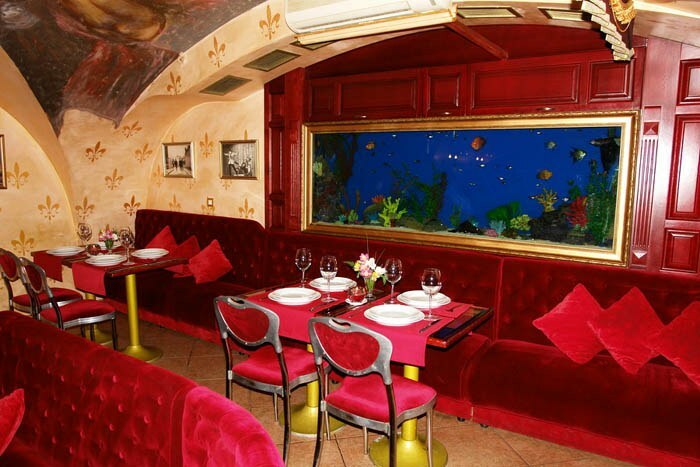 The cuisine differs with a great choice of dishes, cuisines and beverages. “Ultra dance club” is equipped with the latest sound and light club equipment, including a big amount of plasma screens. In this club the best DJs of the town work and moreover barman show, extreme cocktails and bar dances are performed there. Inner hall has 3 bars and cozy sofas. “Ultra” works 5 days a week. On Monday there is a Staff Party, Tuesday and Wednesday are days off, on Thursday there is a RnB party, on Friday there is an Electronic Party, on Saturday there is a Pop/house party and Sunday is traditionally a women’s day with Girls night party. The club owns its own part of beach where it is possible to make an order without going inside the club. 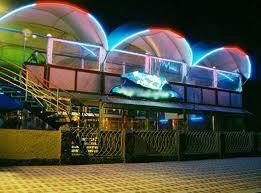 Working hours: 11:00 - 03:00 a.m.
“Assol’” is well-known club situated on board a ship moored to a berth. It works all the year round and offers different kinds of entertainment to its visitors. On the lower deck there is a cozy hall divided into several zones. Here a live music is performed by a group “Dilizhans” and from 11 p.m. a discotheque begins. On the second deck from 8 p.m. till 10 p.m. top DJs entertain youth. On the upper deck there are several soft sofas and transparent roof for those who are tired of club life. “Assol’” cuisine is famous for a great variety of seafoods as well as for meat dishes and a wide choice of alcoholic drinks. It is one of the most democratic clubs which is meant for people of different ages and different income. “Bikini” works within 24 hours, till 7 p.m. it is a restaurant and from 7 p.m. till 9 a.m. it is a night club accented on live music. From Monday till Tuesday “Bikini” offers ensemble music, from Thursday till Sunday rock groups perform there. All the concerts begin at 9 p.m., after them a discotheque begins where different musical styles, including musical hits of 70-90-s are performed. 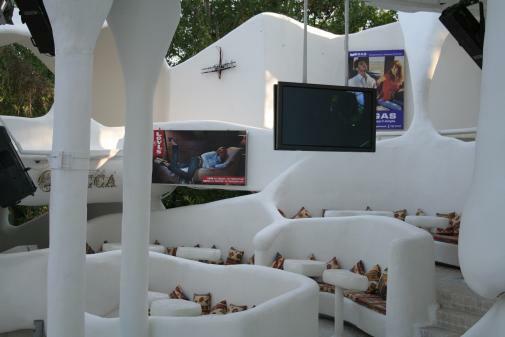 Also there is a lounge bar, disco club, two separate zones with sofas and live broadcast barman show every day. 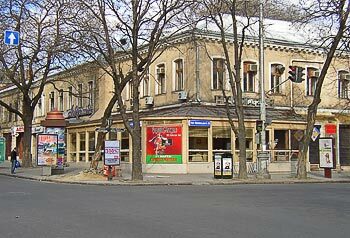 The club is more than twenty years old, it has a rich and well-known history, its own spirit and atmosphere; it is remarkable for stylish interior, great music, low prices and perfect cuisine. “Vecherka” is situated in the center of the town in one of the most beautiful buildings in Odessa. In the morning and afternoon the club works as a cafe, but in the evening and at night it changes into a place full of mirrors, neon, lights and sound. The best DJs and two generations music together with club atmosphere and surprise shows every day and mega shows every weekend create value rest all the year round.